Embellish your entryway or your hallway with this luxurious, handcrafted, Western style bench. 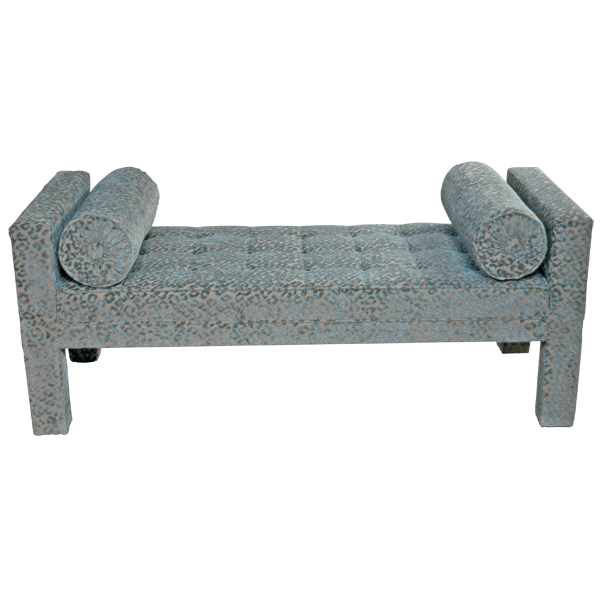 The bench has a comfortable, padded seat with a straight design, and the lateral ends of the bench have straight, well padded armrests. 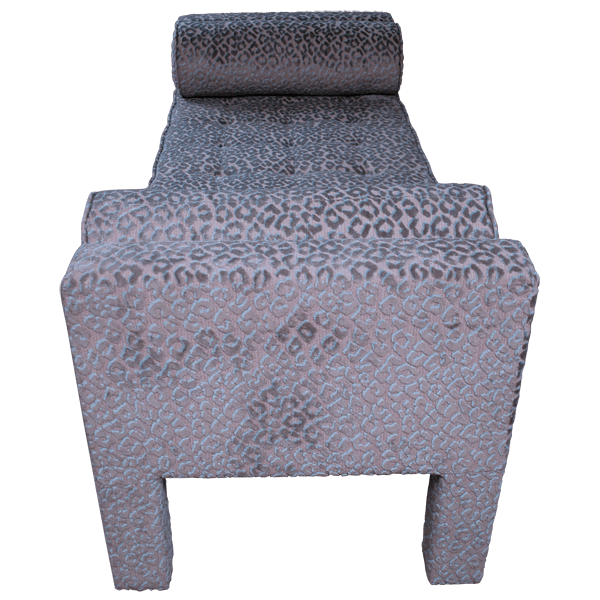 The entire bench is upholstered with spectacular, leopard patterned, gray, full grain leather. The upholstery is double stitched together for extra strength and durability. The bench is accompanied with two, graceful, custom made pillows upholstered in the same leather. The bench rest on sturdy, upholstered, straight legs, and the bench´s frame is made with the best, sustainable, solid wood available. We have a wide variety of leather and fine fabric upholstery available, and the bench can be covered in upholstery appropriate for your home décor. It is 100% customizable.